Gear up in the Firstgear Panamint Hybrid Pants. Poly mesh main construction with knee and saddle abrasion-resistant impact panels team up with CE Level 1 armor at the knees and hips. When you zip off the pant sleeves, airflow can’t get any better. 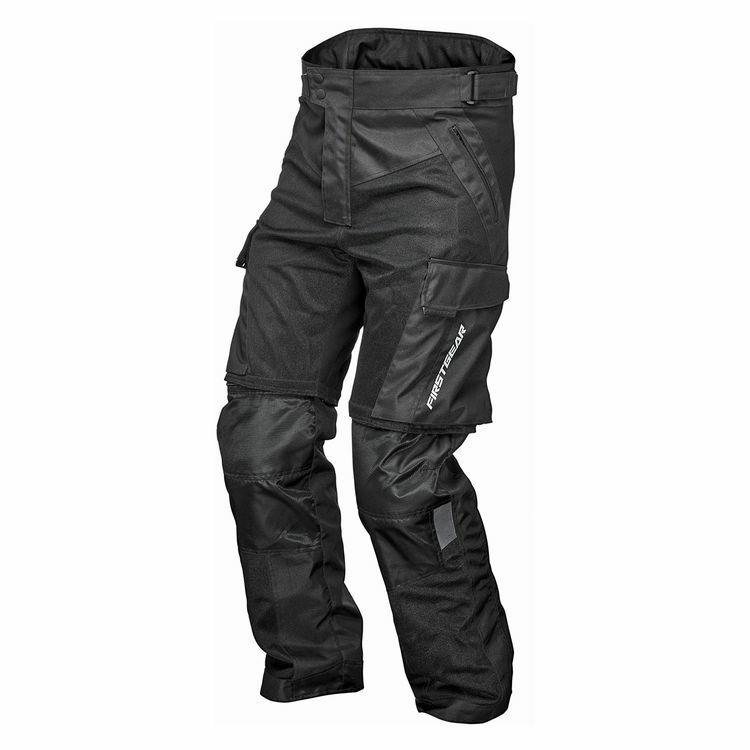 And when the trail gets technical, zip the legs back on for a full performance riding pant. Storage options include 2 zippered hand pockets as well as 2 cargo pockets with dust proof flap closures.